At our house breakfast is served by 8:00 am on the weekends, a product of waking up at 6:30 am, so by the time Sunday brunch rolls around our girls are just looking to visit and have a snack. Train Station Pub has a great brunch menu in a laid-back pub setting, the Pakora Benedict is totally different and delicious and the potatoes are perfect crispy bites. They also offer a kid’s breakfast menu, that features cereal. Perfect for our little ones who are on their second meal of the day and looking to nibble. Warm weather weekends are on the way, and in Kelowna that calls for vineyard walks and patios. 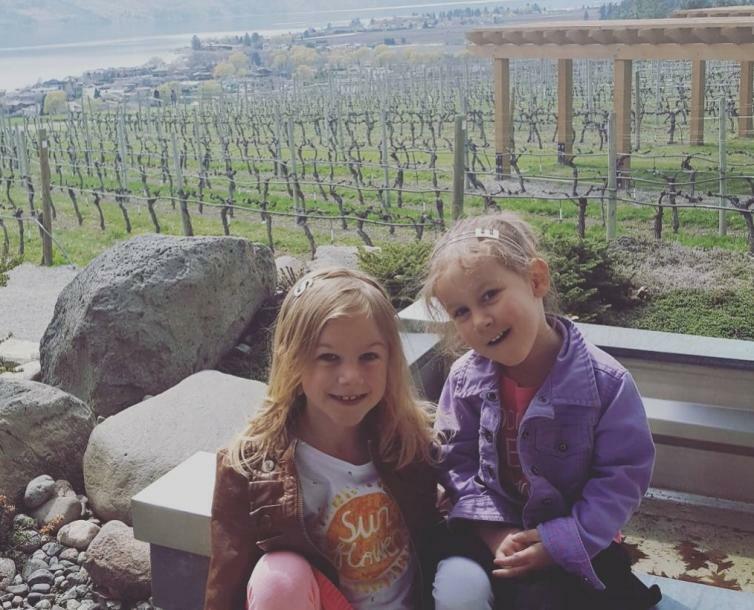 Quails’ Gate Family Estate Winery has a property with plenty to explore. Kids will love the playhouse beside the historic Allison House, and the walking paths and grassy knolls around the vines. Old Vines Restaurant has a stunning patio setting that provides the perfect backdrop for a family game of I-Spy, a glass of Rose and charcuterie. 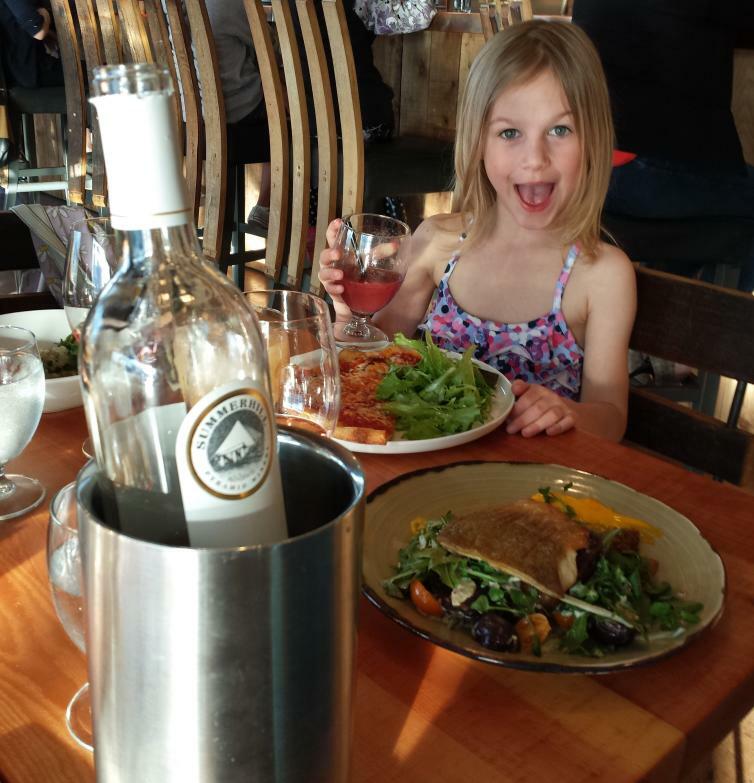 Old Vines offers a kid’s menu that provides something for everyone (even a kid friendly “charcuterie’ style plate). Our girl’s favourite is the fresh tomato pasta with homemade meatballs; it never gets eaten that fast when I make it! Everyone loves pizza night. 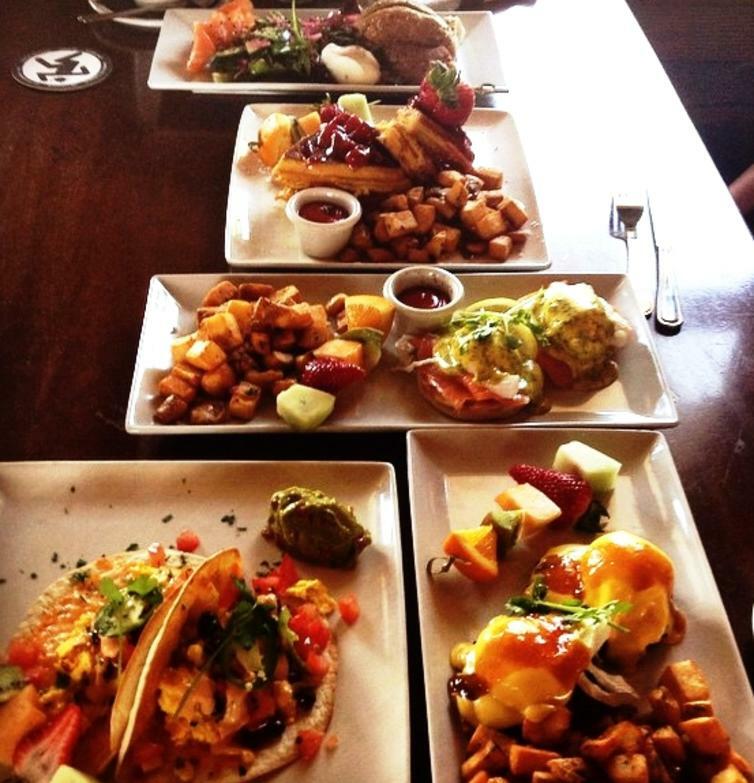 When our family doesn’t feel like making it at home, Sunset Organic Bistro at Summerhill Pyramid Winery has us covered. They host pizza night every Tuesday evening (bonus, order a bottle of wine at retail price with the purchase of a speciality pizza.) Not feeling pizza or looking to dine another night? Sunset Organic Bistro serves seasonally inspired, organic cuisine, such as Pan Roasted Farmcrest Chicken and Char from Oliver. They also have a kid’s menu all parents will appreciate and fresh squeezed organic juices. Hand rolled pasta, quinoa stir fry or organic cheese pizza (which got a 10/10 from my ladies), all served with salad, and all for $6! 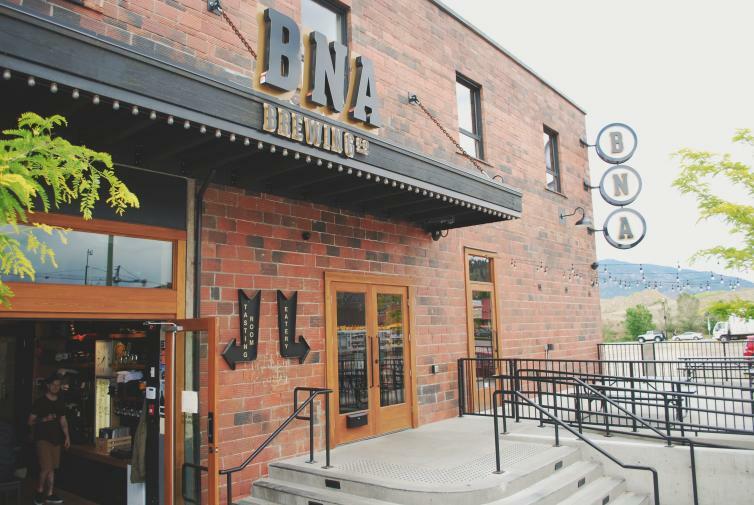 Sunday dinner out seems to good to be true, BNA Brewing Co. has you covered. Every Sunday night BNA offers family style roasted chicken dinners with seasonal sides and gravy. Everything you&apos;d expect from a typical Sunday dinner, except, it&apos;s anything but typical, you can sip on BNA craft beer, and there is no cooking or dishes for you! If your little ones would prefer to order on their own and leave more chicken for you (ours do,) BNA has a kid&apos;s menu complete with all the favourites; mac and cheese, yes please. Don&apos;t miss BNA&apos;s bocce pitch. It&apos;s the perfect way to add a little family friendly competition to your evening, work up an appetite or work off dessert. Parents rejoice! Family dinner out just got a little more adult friendly.